From the phones we use to the cars we drive, advances in Science, Technology, Engineering and Mathematics (STEM) are touching nearly every aspect of our lives. 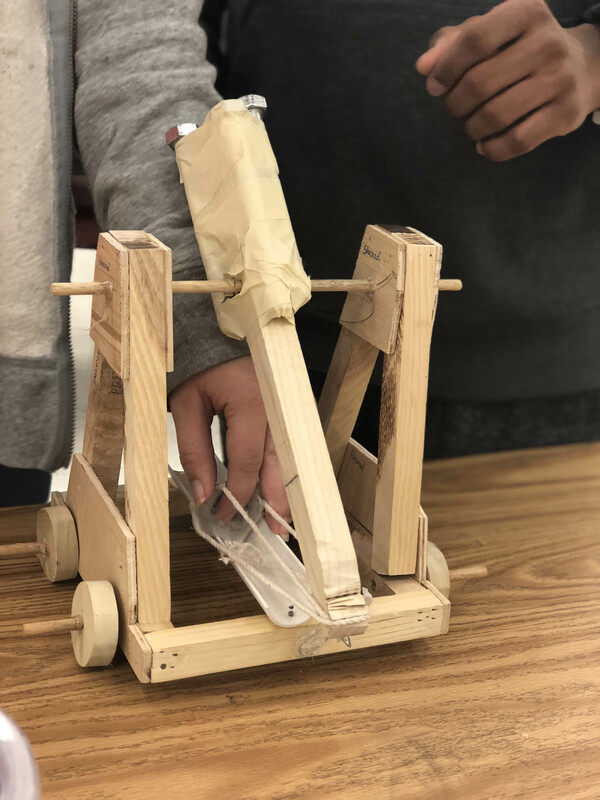 As global innovation continues to propel us forward in all that we do, the need for STEM literacy has never been greater. In fact, by 2018 STEM fields in the U.S. are projected to grow by 18 percent compared to other fields, which are only projected to grow by 9 percent. Yet, despite this tremendous growth and availability of high-paying careers, it is also predicted that by 2018, 2.4 million of these jobs will remain unfilled due to the talent gap. So how can we bridge this gap to ensure a strong and skilled STEM workforce? With women currently comprising only 24 percent of the STEM workforce, it is clear that the untapped potential of female talent is one powerful solution. To redefine the face of STEM, schools and initiatives nationwide are working hard to more proactively engage and encourage young women to explore their interests in the field. The Academies of Bryan Station High School is one school in Lexington that proudly advocates for girls in STEM. Just ask Hunter Lane, a sophomore within Bryan Station’s Engineering, Manufacturing and Robotics Academy who is using her high school experience to blaze her own trails as a young woman in STEM. In addition to tackling her everyday curriculum, which has allowed her to gain hands-on experience building and programming robots, Hunter is a founding member of Bryan Station’s Girls Robotics team. 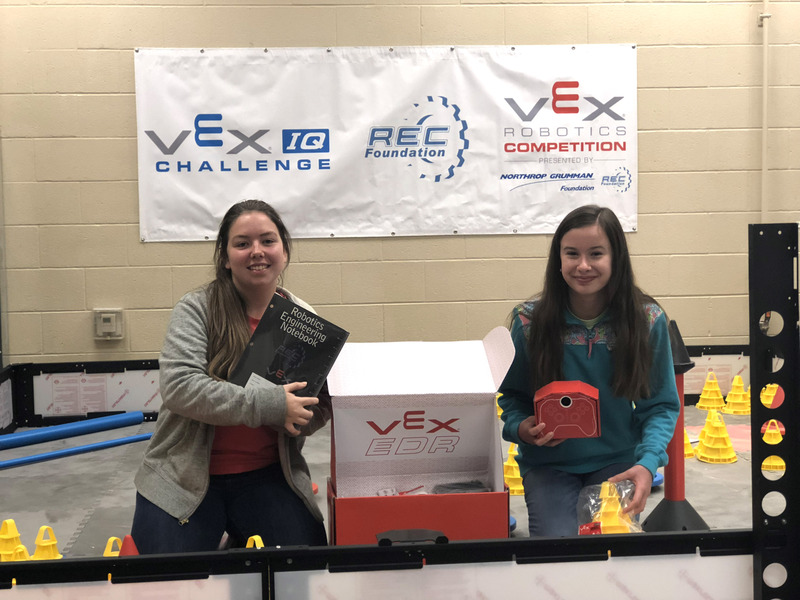 Joined by Bryan Station Middle School eighth-grader Corrinne Sharrard, the two-person team completed its first-ever competition at a VEX Robotics rookie event at the University of Kentucky’s College of Engineering’s STEM Day in October. Corinne’s interest in in engineering and robotics can be traced to her mother, a mechanical engineer at Shrout, Tate and Wilson (STW) Mechanical and Electrical Engineers in Lexington. Bryan Station’s Girls Robotics team plans to compete in future competitions as well. 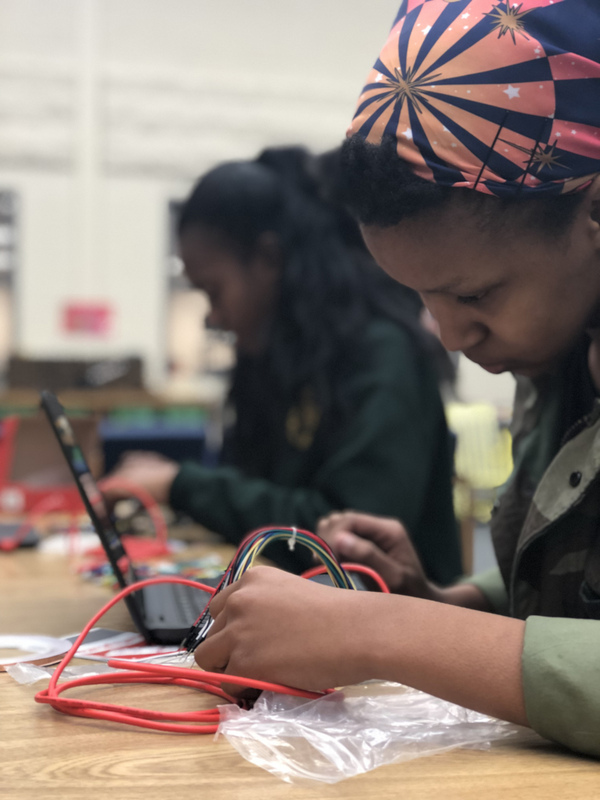 And thanks to a grant through Girl Powered, an initiative to increase the representation of girls on robotics teams, the team now has the gear they need to succeed. 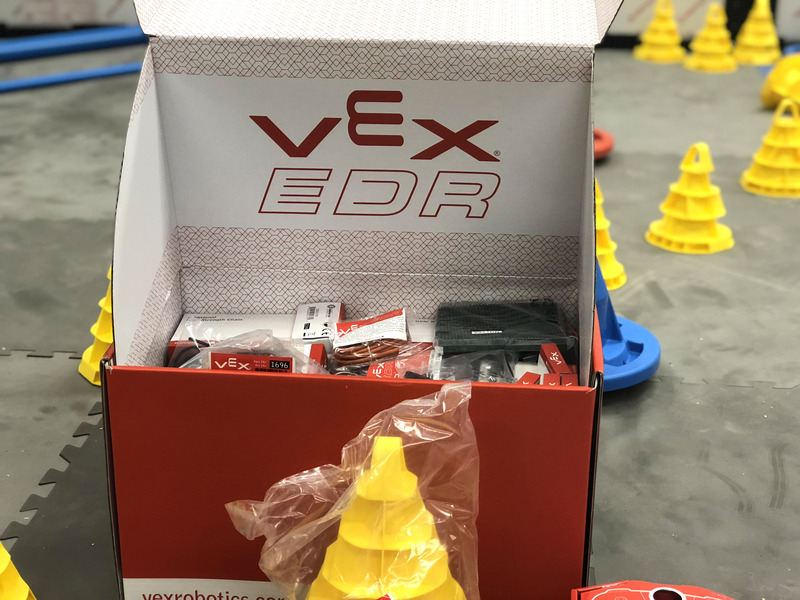 The $1,300 grant provided a VEX Classroom and Competition Super Kit which includes an array of robotics and engineering tools such as sensors, motors, controllers and more. Perhaps one of the girls’ biggest supporters is Bryan Station Technology and Engineering Teacher Rusty Wilhoitte, who proudly advocates for young women in STEM. Describing his own daughter as very hands-on and mechanical, Rusty Wilhoitte said encouraging female participation in STEM activities and education is crucial to future of engineering, manufacturing and robotics. Also offering important opportunities for young women interested in STEM is Bryan Station’s longest established Academy, the Academy of Information Technology (IT). As a NAF-certified Academy, the IT Academy encourages students to become leaders in IT through project and work-based learning experiences in the classroom and through job shadowing, internships, guest speakers, field trips, mentors, and special student-led community projects. IT Academy Senior Destiny White said her Academy experience has helped her realize her interest in cybersecurity and computer forensics. “I find cyber criminals to be really interesting. There’s no easy way to figure things out—it’s an entirely new world to figure out,” she said. Destiny realized her interest in this fast-changing area of technology after attending the Kentucky Community Colleges Women in Computing conference, an opportunity offered to her by Bryan Station. “It’s important for tech to be accessible to girls. 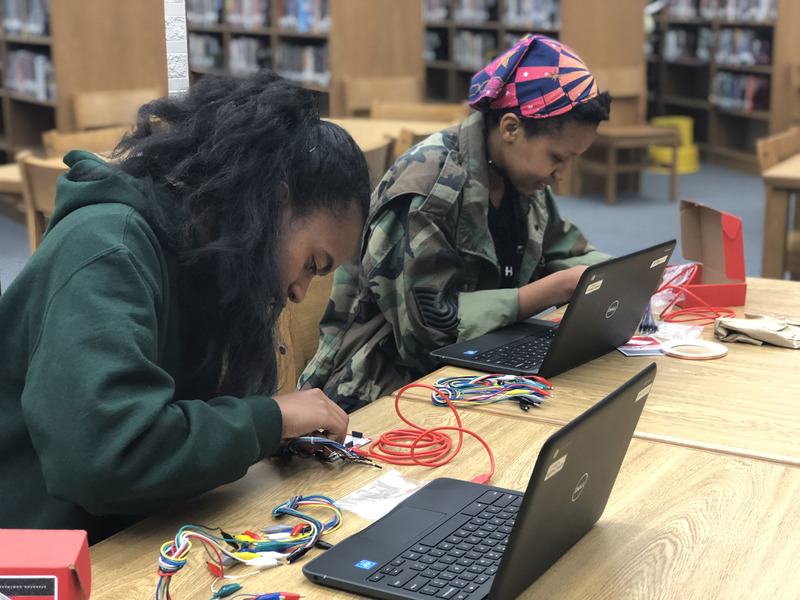 Sometimes, I don’t think people consider how something will look to the opposite gender,” added LaMargaret Johnson, a sophomore who is just beginning her IT Academy journey at Station. LaMargaret noted that the Academy model is not only offering her opportunities to master skills she’s interested in, such as graphic design, it’s providing her with an added support system of students focused on the same areas of study. “I have a whole set of friends that really want to learn the same things I’m learning. We supplement each other in different ways to help each other out if we don’t understand something,” she said. 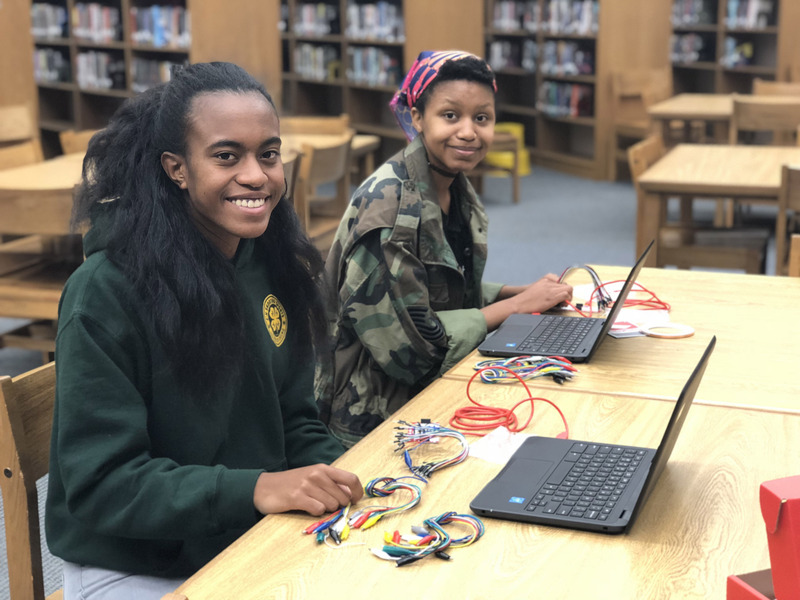 As members of Bryan Station’s Student Technology Leadership Program (STLP), Destiny and LaMargaret utilize and create technology to solve school and community needs. By participating in STLP events and activities, their projects and services are showcased through local, regional and state events offering additional opportunities for continued growth and education. As the only female members in Station’s STLP, Destiny and LaMargaret are proud to be paving the way for more girls in technology. “For some reason, we make technology scarier than it really is. It’s not this big scary thing. When we think of the internet or technology in general, it’s like this big unknown monster—but it’s really not,” added Destiny. To learn more about how The Academies of Lexington are helping students connect what they’re learning in the classroom with real-world careers, visit our website at academiesoflex.com. If you’d like more information on the Academies of Bryan Station High School, feel free to contact Academy Coach Heather Zoll-Eppley at Heather.Eppley@fayette.kyschools.us or at 859.381.3308, ex. 2012.